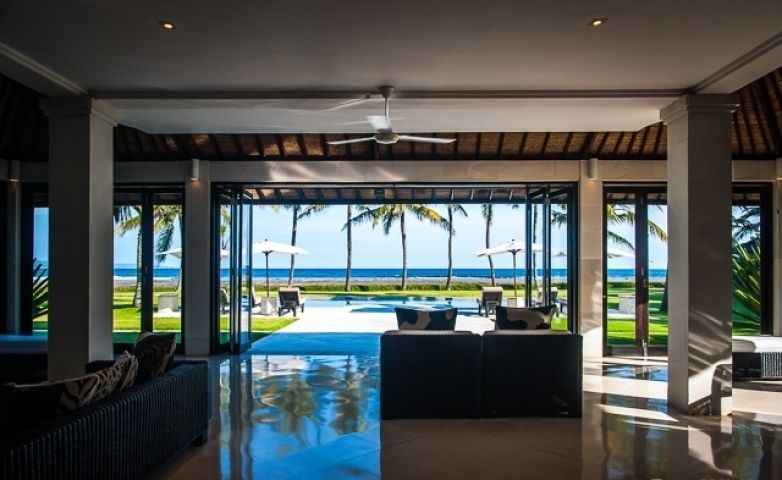 This beautiful beachfront villa is situated in a quiet and safe area, just 15 minutes north of Sanur. 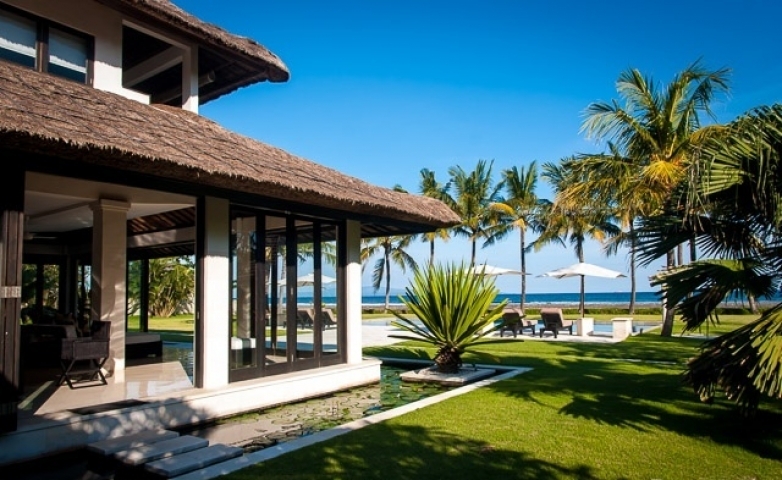 Villa is perfect mix between Balinese architecture and landscaping, and modern minimalist influences. The main entrance of the villa is decorated with an impressive and elegant water tower and playful refreshing fountains. 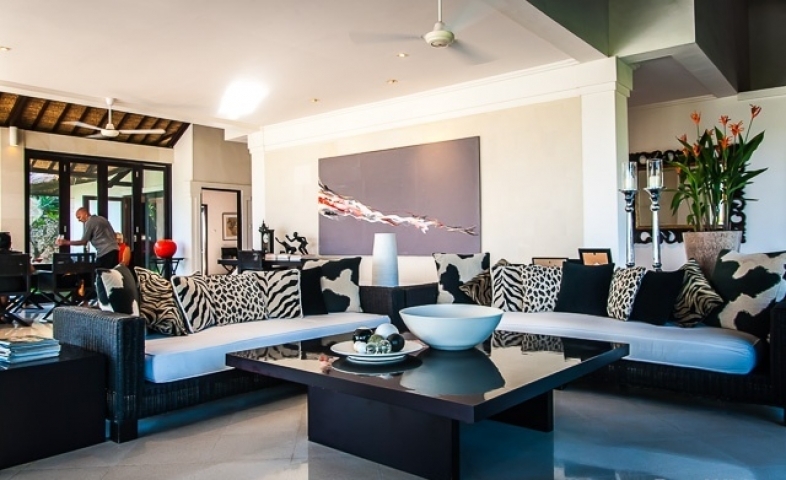 The spacious living room with foldable floor-to-ceiling windows, giving the owners the ability to enjoy a complete open living room, but maintaining the ability to close the living areas completely in case preferred. 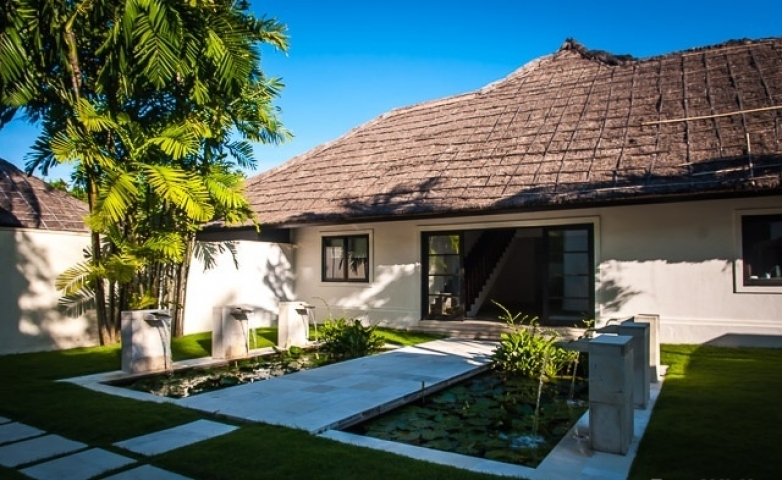 The ground level gives space to the 2 guest bedrooms with en-suite bathrooms, a guest toilet, an office, a spacious kitchen with extra kitchen storage room and staff quarters with 2 staff bedrooms and laundry area. 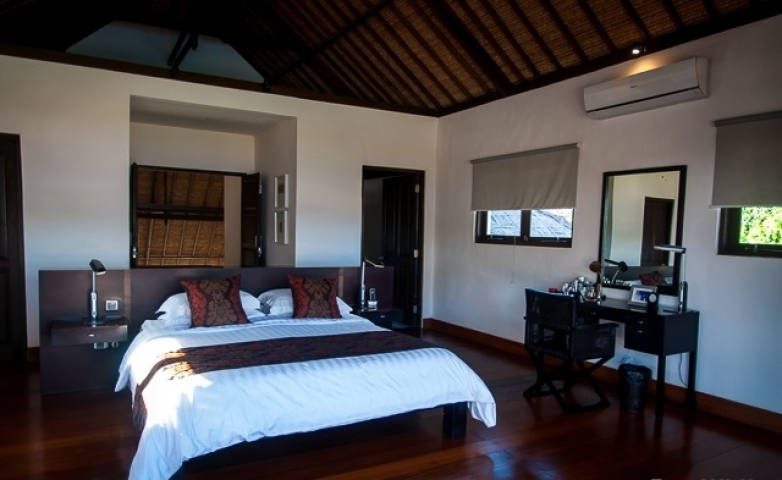 The second floor accommodates the master bedroom, complete with ensuite bathroom and dressing room, and absolutely stunning ocean views over the front garden, swimming pool and looking out to Nusa Penida Island. 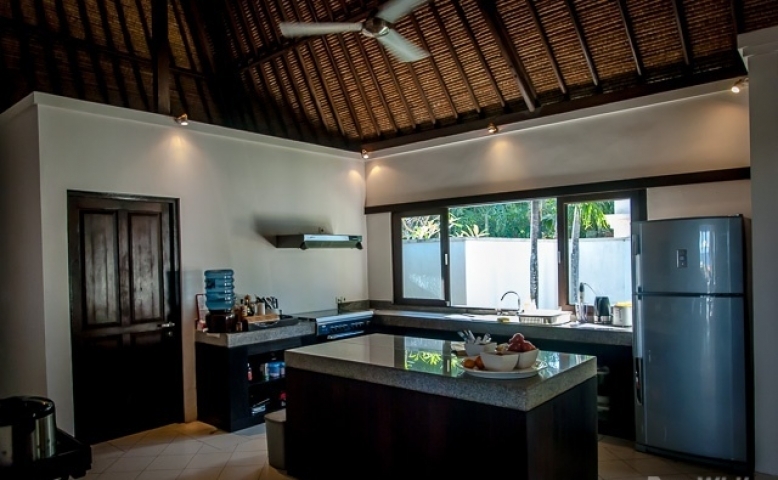 Separate guest house with an additional 2 bedrooms, a large bathroom with bathtub and a spacious living room looking out into the front garden and the ocean. 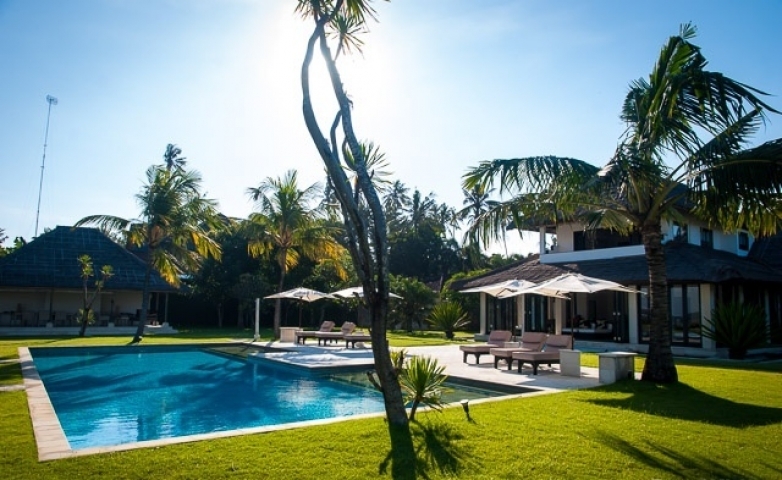 The spacious lush gardens with the 18m x 7m lap swimming pool, sun lounge area and meeting pavilion. 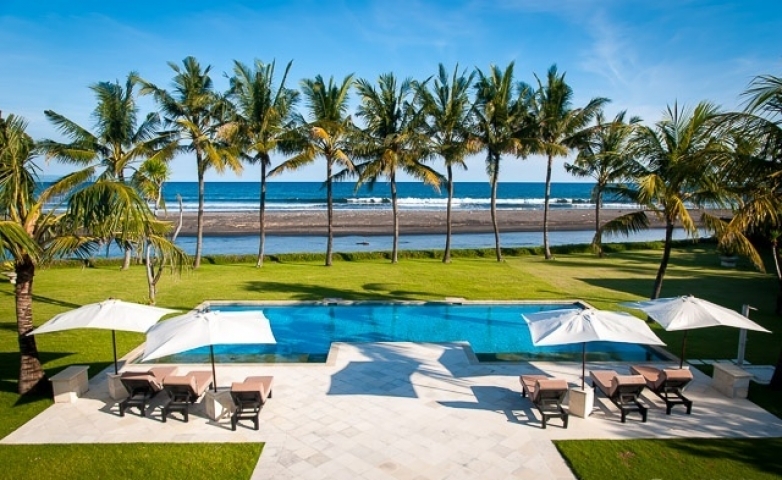 Price Freehold in IDR 38,500,000,000.